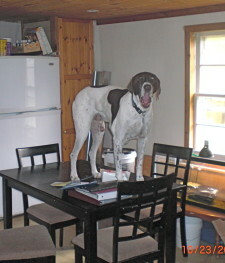 German Shorthaired Pointers (GSPs) are members of the American Kennel Club’s (AKC) Sporting Group and are typically HIGH-ENERGY dogs that require stimulating exercise on a daily basis, as well as consistent training. 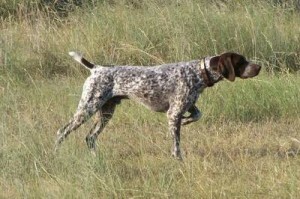 They descend from German Bird Dogs and were bred as hunters and all around companions. Because of this, they have a high prey drive and great need for companionship—both reasons why they make an ideal pet AND why they are given up. If you are looking for a dog to just lie around, the GSP might not be for you. If their energy needs are not met, they can become destructive in the house. In fact, most GSPs are surrendered to us because of their high-energy level. If you have an active lifestyle and want to make you dog a part of your daily life, read on! GSPs possess keen scenting power and high intelligence, and since they are hunters by nature, they can become easily distracted and chase squirrels, birds and other small animals. Therefore, they are not particularly reliable off leash and are best in a home with secure fencing. GSPs also love to be close to their families, and many actually do think they are lap dogs (after exercise), so they do not do well in homes when they are left alone for excessively long periods of time each day. But if you have lots of attention to give to a loyal, loving companion—this could be the breed for you! In many cases, a family brought a Shorthair into their lives without fully understanding the requirements of the breed. 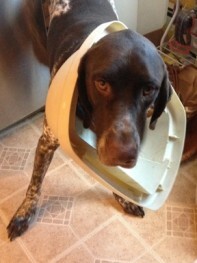 Consequently, they cannot meet those needs and seek our help in placing the dog in a new home. GSPs range from solid “liver” (a brown that often gets them mistaken for Labrador Retrievers) to a bright white body with a liver head. They may have blazes (white stripe going down the middle) or solid liver heads; they can be ticked (small flecking with white background), ticked with large patches, or roan (such fine ticking they appear almost solid colored). According to the AKC, the hair is short and thick and feels tough to the hand; it is somewhat longer on the underside of the tail and the back edges of the haunches. The hair is softer, thinner and shorter on the ears and the head. 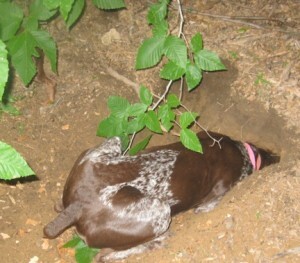 The GSP’s short coat sheds, but grooming is minimal. 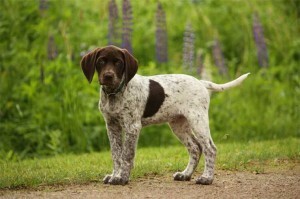 Shorthairs are medium-sized dogs; males can range from 55-70 pounds and females 45-60.